The proof of the pudding is in the eating. That’s not a great analogy here, but we can’t think of a better one at this moment in time. Basically, what we’re saying is: it’s fine to claim that your product is the bee’s knees, but until you can actually prove its worth – talk is cheap. 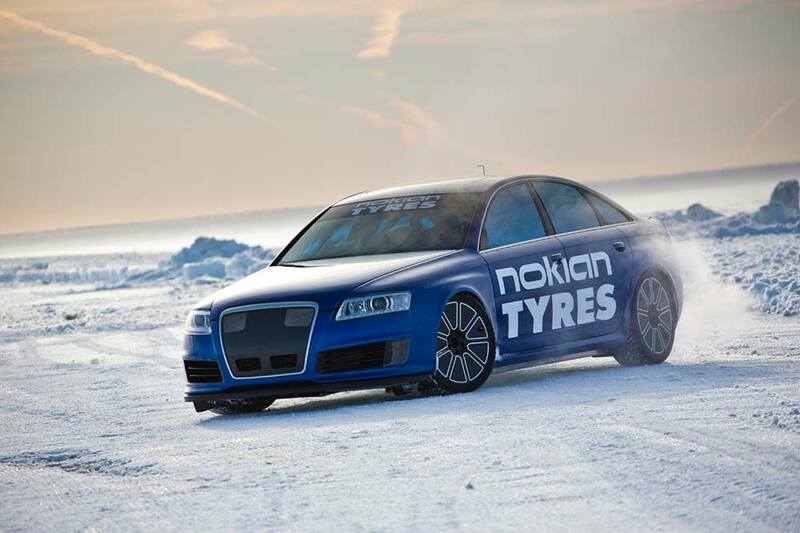 Nokian Tyres has a reputation for throwing its wares onto high-powered vehicles to demonstrate their superiority on the slippery stuff, and the company’s new Hakkapeliitta 8 items are the latest offerings to step up to the plate. 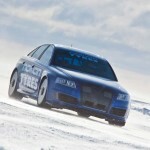 With test driver Janne Laitinen at the wheel of a modified Audi RS 6, the new world record was accomplished on 9 March just outside the city of Oulu, on an 12 kilometre track created on the ice of the Gulf of Bothnia. Having previously held the Guinness World Record for fastest car on ice, back in March 2011 (331.61 km/h, 206.05 mph), Laitinen averaged a speed of 335.713 km/h (208.602 mph) over two runs, hitting an astonishing 340 km/h (211.27 mph) during the attempt. 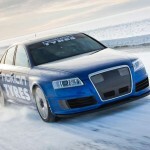 “At extreme speeds, the forces focused on the tyres are enormous, as the car travels over 93 metres per second and the studs hit the ice 43 times. As the air resistance increases, we need even more grip to accelerate the car. 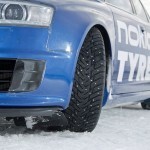 In addition to grip, handling and stability are also essential,” said Nokian Tyres’ Technical Customer Service Manager, Matti Morri.